Sapi means "cow". The reason why this island is called Sapi Island is because from far the island really looked like a cow head! But this island, among the other chain of islands, is indeed beautiful. It is only 15 minutes boat ride from Jesselton Point or Sutera Harbor Resort. Jesselton (Kota Kinabalu) is the capital of North Borneo (Sabah). 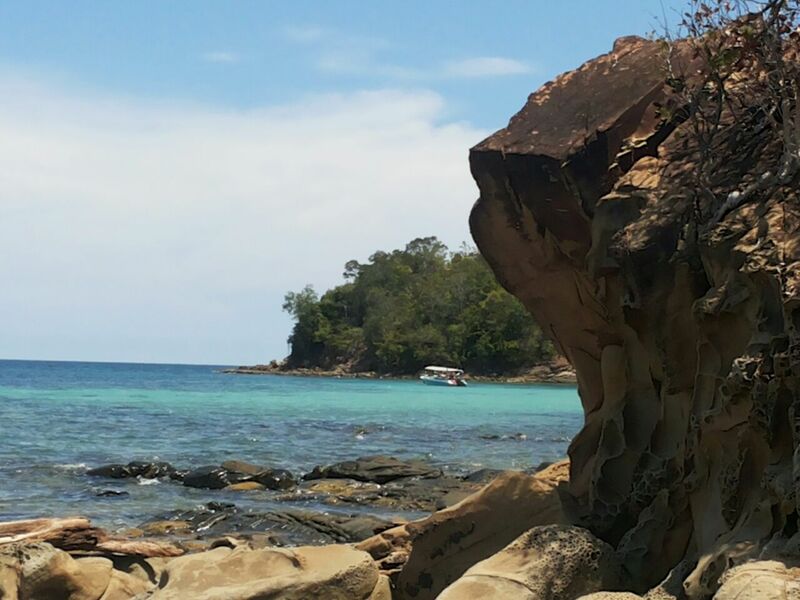 Half of the island is covered with white sandy beach, while the other half is rocky. 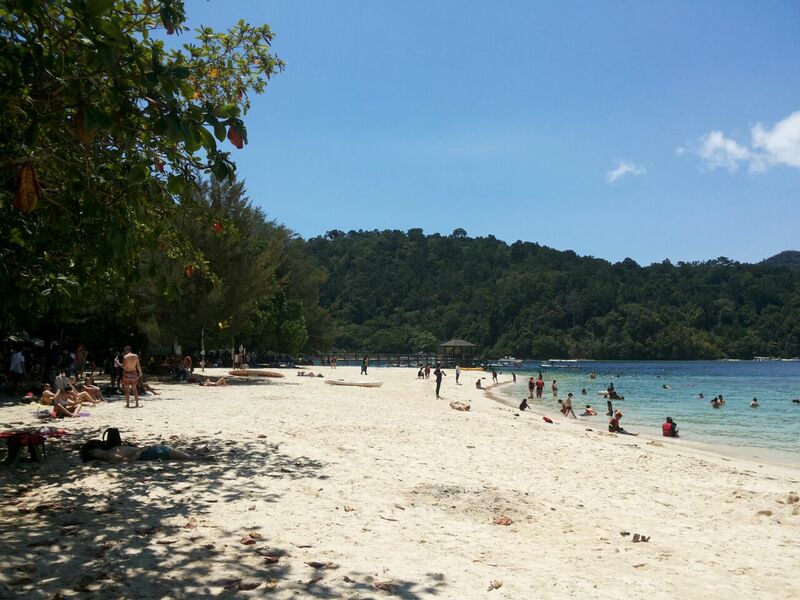 The size of Sapi Island is only 25 acres (roughly 10 hectares). Approaching the island, from the distant, the island looked small. Before disembarking on the island, visitors are tempted to think that we can walk around the whole island in 10 minutes or less. Far from it! I think it takes 2 hours or more to cover the entire island on foot. So there is much to see on this island, even though it is small. From Pulau Sapi, we can see the biggest island off the Jesselton coast, that is Gaya Island. It is roughly towards the north of Sapi. In the south, like the picture above, we can see Manukan and Mamutik. What we can't see from Sapi is Sulug Island and the Sepanggar Island. 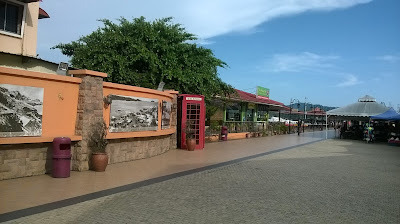 But before going for the islands hopping, we would have to start from here; Jesselton Point. I like this place because it gives a historical perspective what was Jesselton all about. Here is where visitors can buy their tickets for the island trips.